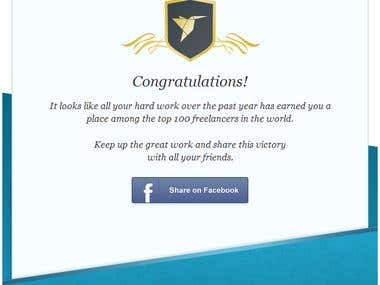 Top 100 Freelancers out of 7,418,366 Freelancers in the World. 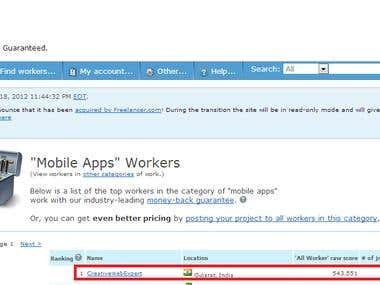 We were #1 on mobile apps development #1 on web development and many other categories on [login to view URL] out of nearly 3 lacs Freelancer brought vworker on 2012. 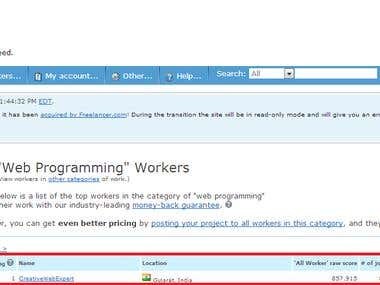 And now, We are happy to announce that We are in TOP 100 freelancers out of nearly 7,418,366 freelancers in the world. Which is great achievement for us. 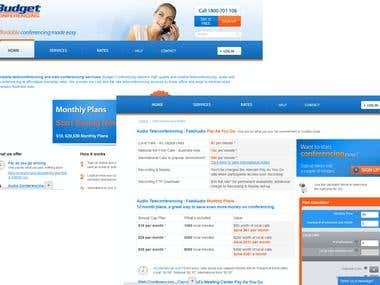 But this is all goes to our nearly 100% happy clients We have nearly 100% completion rate and 5/5 rating from our customers based on the quality and services we delivered to them on various set of technology from web, mobile to desktop and embedded technology. We will continue our progress by delivering more n more and making clients happy.